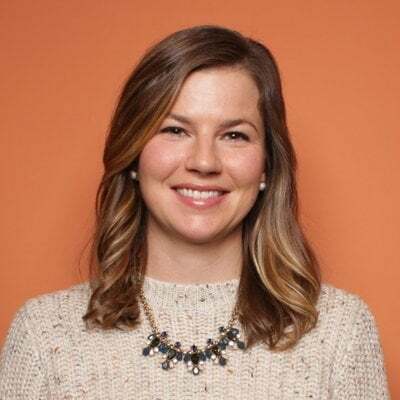 You spend hours and hours drafting proposals -- emailing different departments for assets, curating images, outlining the scope, creating timelines, inputting estimates, and defining recommendations. Then, you send it off to the prospect and move onto the next one. You don't know if the client looked at the proposal you emailed or if she even opened it until weeks later -- after the fifth follow-up email. And with each prospect who sends you a request for proposal (RFP), you start the creation process over again, save for the cover letter. 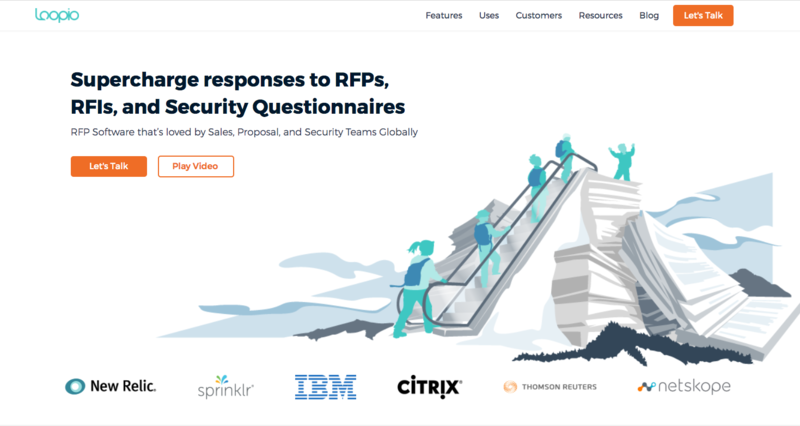 Considering how rushed the proposal process typically is, agencies need a more efficient way to create, store, and manage the proposal creation process and better insight into their sales pipeline and performance. A simpler process -- using proposal software designed to address these needs -- could help you to reduce the non-billable time spent drafting content for sales proposals, and it will help you to better understand what really matters to prospective clients. 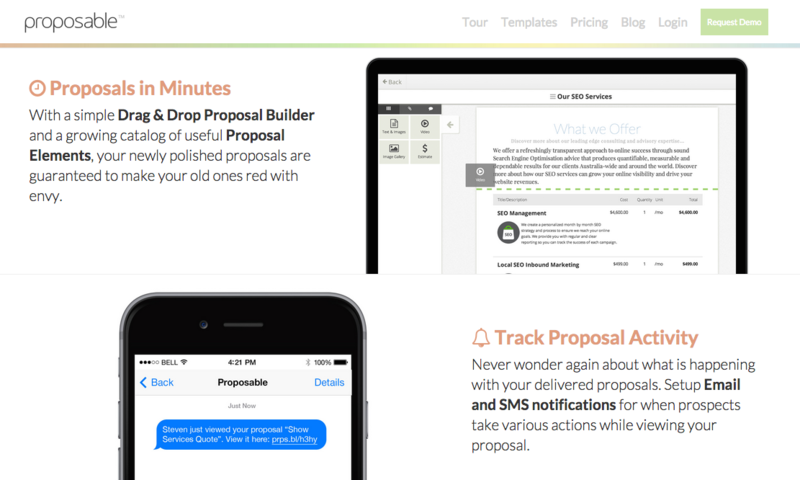 To bring your proposal process into the modern age, we're highlighting 11 different proposal creation and management tools for you to consider. While there are many more, the following proposal apps and tools are particularly relevant for the marketing and creative industries. As you create and deliver your proposal, of course, a critical next step is to start conversations with the people to whom you're proposing your business. Luckily, several of the tools listed below also integrate with HubSpot's customer relationship management (CRM) software to help you do just that. 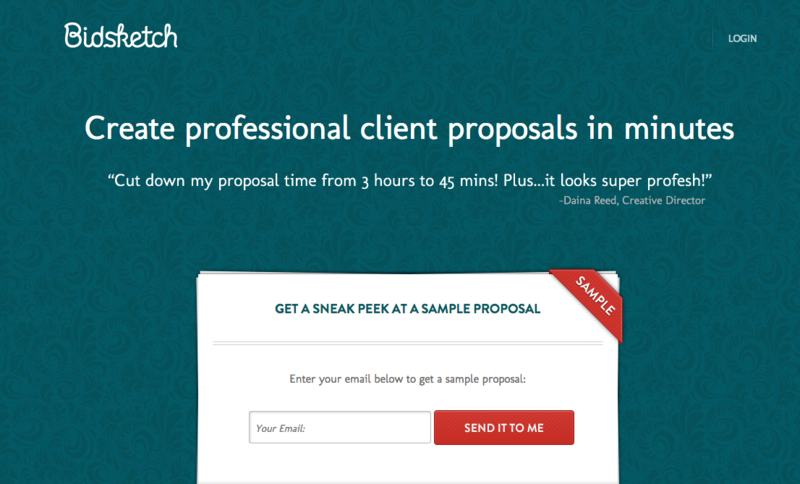 Take a look at the proposal tools below to get an idea of your options. 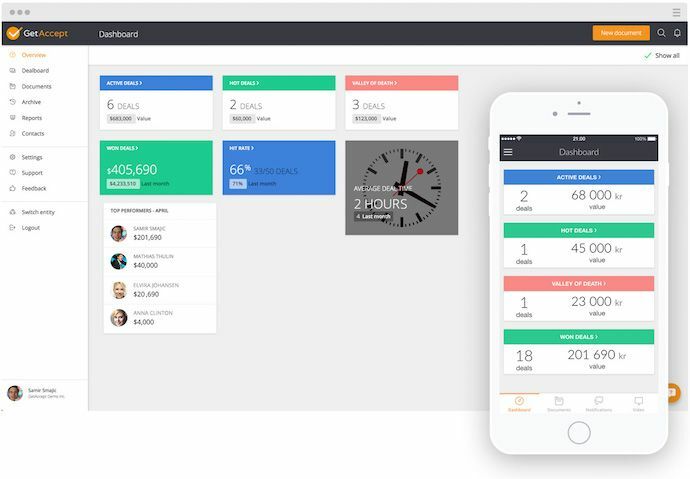 Get free access to effortless meeting scheduling software. Save hours every week. 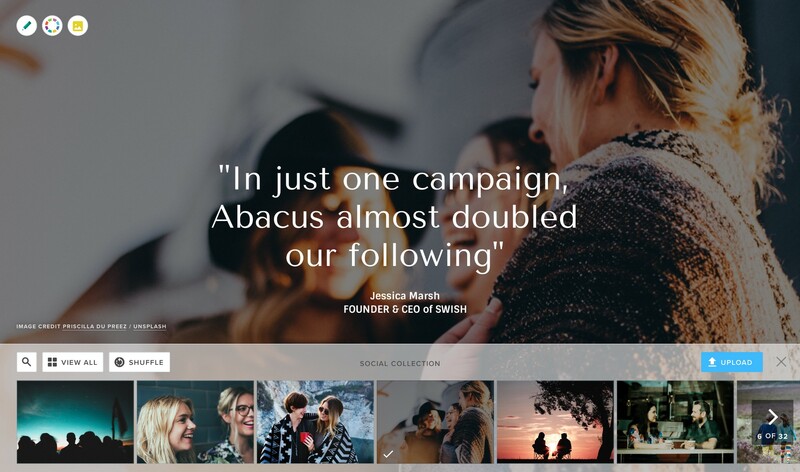 PandaDoc allows you to easily create customized, on-brand proposals quickly through smart collaboration tools, integrations with a number of CRMs, and a content library so your new business team has everything it needs to address the prospect's concerns and questions. You can enable custom notifications so you know when your client opens the document, how much time they spent reading, and when they sign. 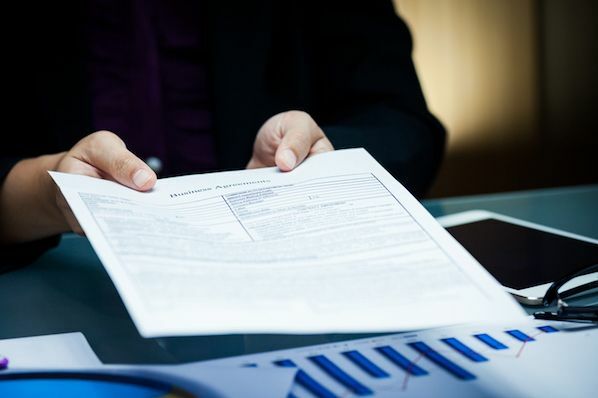 In addition, you can use PandaDoc for contract renewals and the HR solution to streamline and simplify recruiting and onboarding, making your entire agency more efficient and organized. 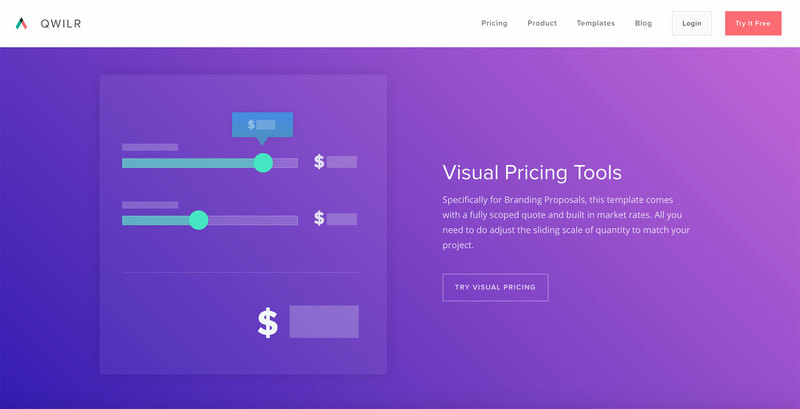 Proposify was made for creative firms. 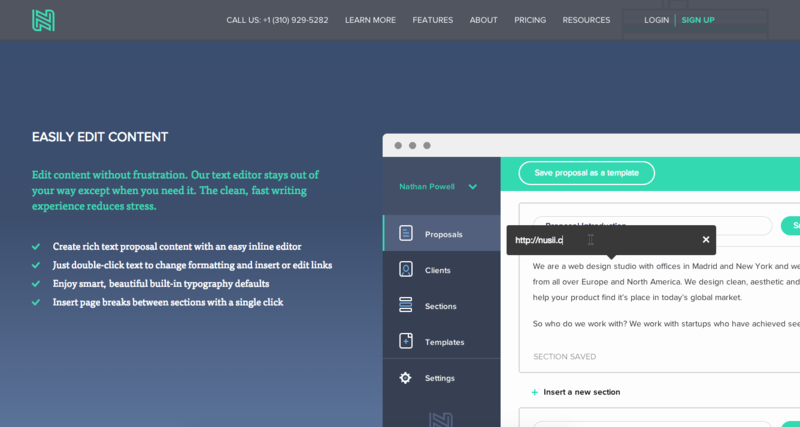 It's drag-and-drop interface lets you easily add different sections to your document. You can customize a proposal with an InDesign-like editor that lets you add text, images, and videos. In addition, it has robust analytics features, including the ability to see the top-viewed sections of your proposal, how many times it was viewed, and for how long. 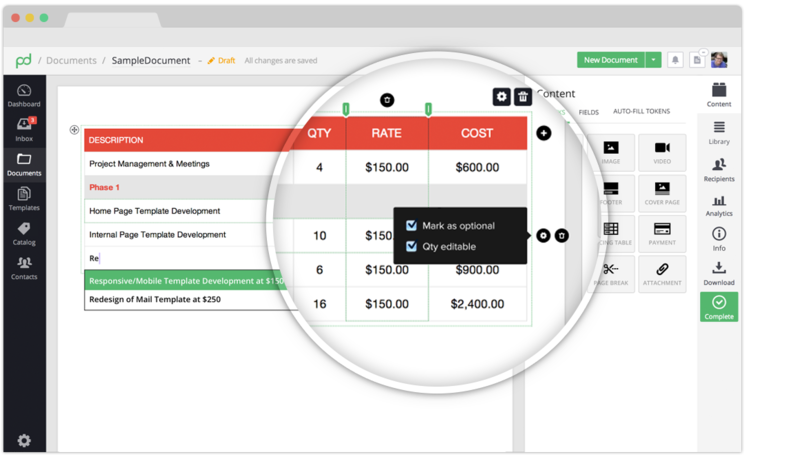 The proposal design software also tracks the performance of your proposals over time, so your new biz team can better understand close rates by month, quarter, and year. 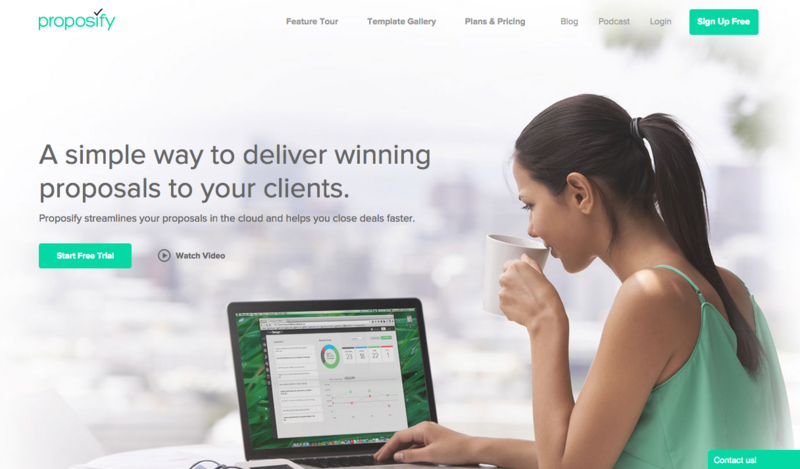 Qwilr makes it easy to create clean, stunning web-based proposals and other sales collateral without relying on your programmer. 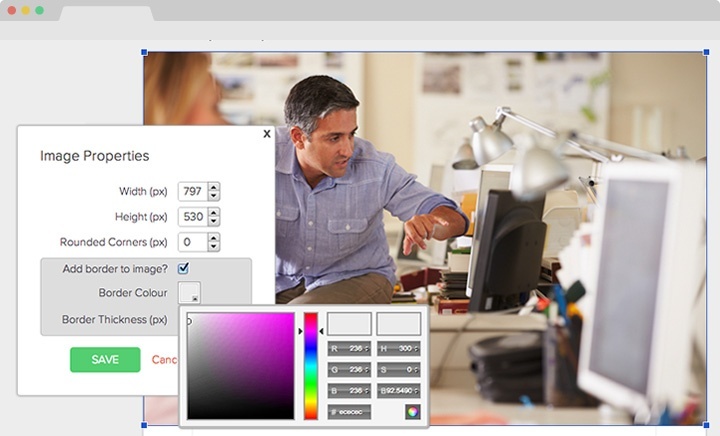 Its editor is similar to using a document editor, with features such as the ability to embed interactive content such as video, maps, interactive dashboards, and Google Sheets. 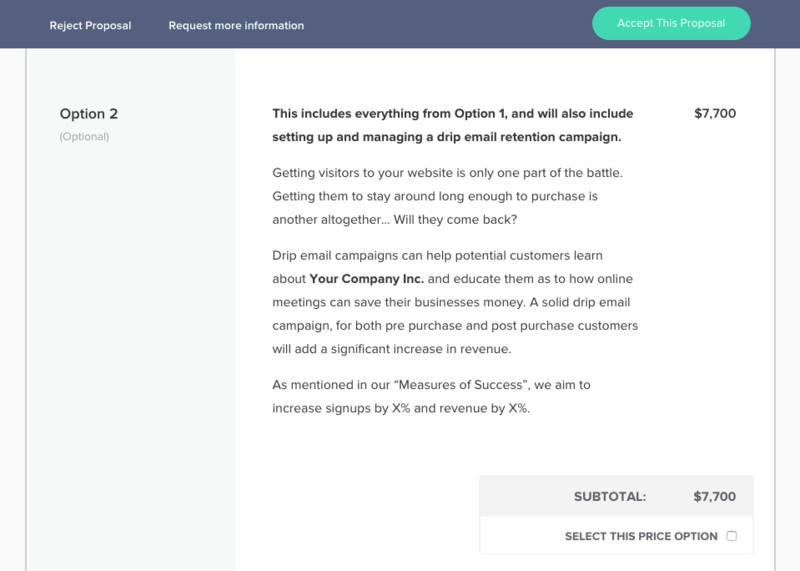 It tracks and reports on what people view and click so you can measure engagement, and it includes a quote and accept tool for simple and accurate pricing. With Bidsketch, you can easily create proposals by combining previously used sections or by using the company's sample proposal language, and it contains designed proposal templates you can use. It also provides a specific section where you can indicate optional fees to take advantage of upselling and cross-selling opportunities. The software will notify you when the proposal has been viewed and if the person exported is as a PDF. Osmosis provides you with tools to both create client questionnaires -- this could be used to first determine a project scope -- and proposals. Proposals are presented as a web page that can be exported as a PDF. Osmosis integrates with platforms such as Basecamp, Trello, Freshbooks, and other common tools. Loopio's unique in that you build a RFP response library, tag and categorize this content, and then its automation engine pulls from your content library to auto-populate a proposal. Another interesting feature is the ability to associate content with a subject-matter expert, making it simple to know who to talk to to update and customize information. 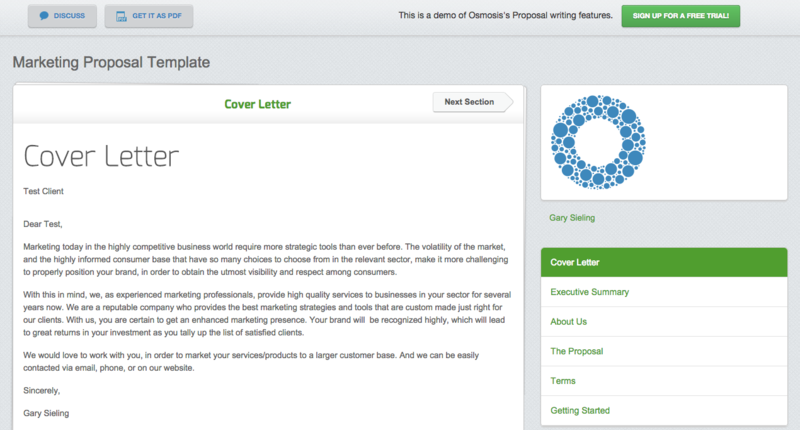 This proposal management software has an elegant user interface for creating and managing proposal creation. 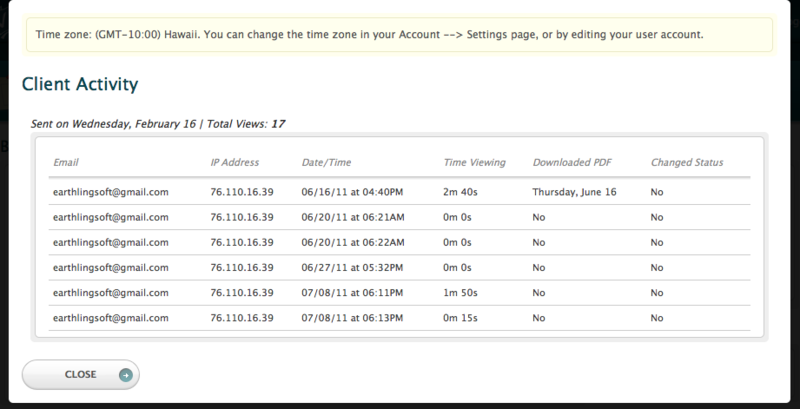 Nusii features a drag-and-drop interface where you can re-order sections and add new and previously used content. The tool also features reminders for agencies, so you'll remember to follow up after sending, and it has a library of professional proposal templates to get started with. 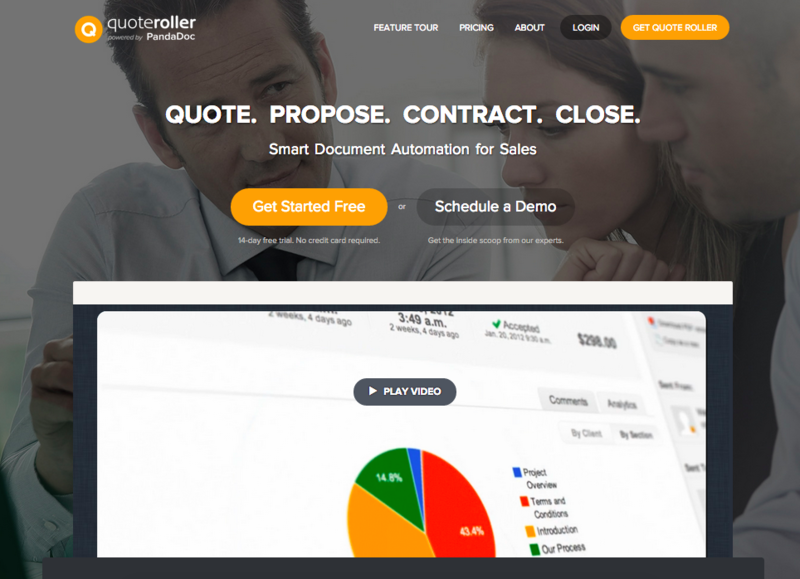 Quote Roller's pricing features make it stand out from the rest of these tools. It calculates your profit margin per project, allows you to apply discounts, and viewers can choose items on an a la carte basis. You can also discuss pricing and packages in real time with your clients in the commenting feature on the document to save time going back and forth over email, and it includes dynamic content tokens so you can easily update all the instances of a client's company name throughout a document. In addition, Quote Roller has a workflow approval so proposals can be created and approved by the right individuals before being sent out. 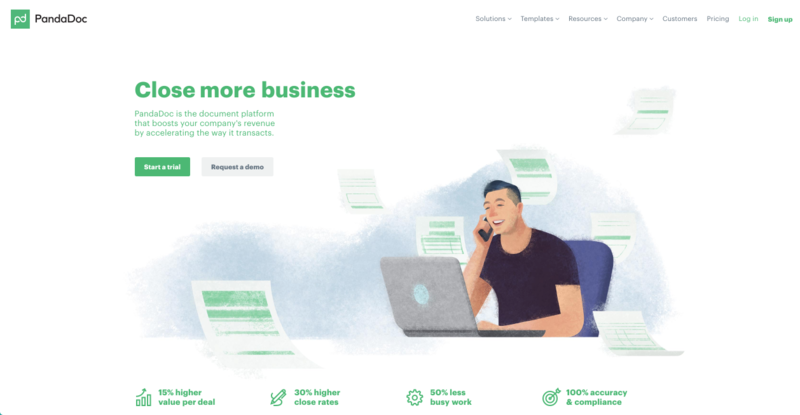 Proposable has drag-and-drop creation tools, email and SMS notifications for when documents are viewed, and analytics for getting a better understanding of your sales pipeline. It also includes an estimate framework to make this part of the process less painful. Price: $39/user per month/unlimited proposals, $500/10 users + $49/additional user per month/unlimited proposals + custom integrations, dedicated account manager, and more, $2,000/month/unlimited proposals + 50 reseller accounts and more. This is a feature-rich tool for managing the entire process -- from pitch to proposal creation to contract. It features a content library for storing approved content sections, an online presentation tool, and reporting to show who viewed what and for how long. Prospects can view and comment on proposals on any device, and it has DocuSign built right in for easy and secure signing. 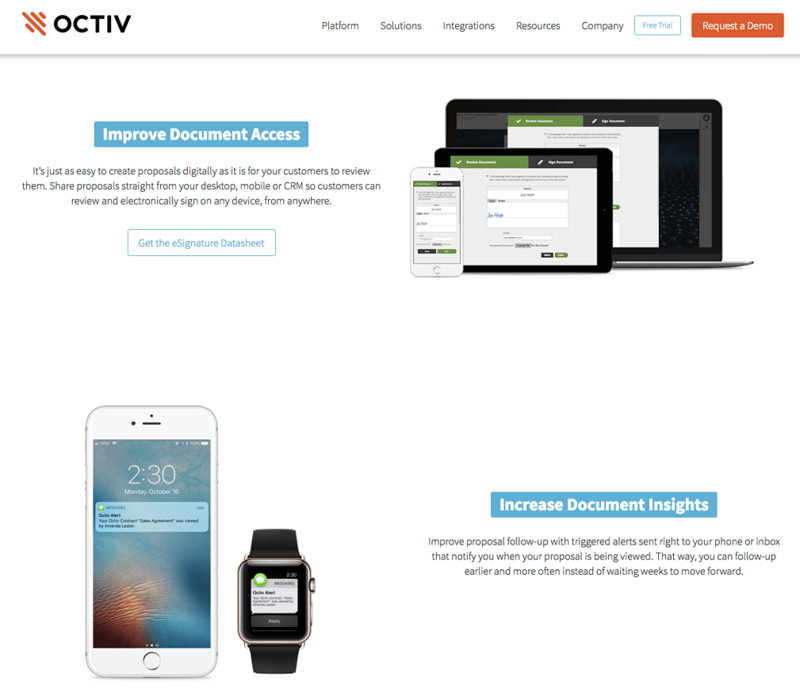 GetAccept is an e-signature and document tracking platform for salespeople. The tool reinvents the proposal and e-signing workflow by engaging the recipient with an intelligent and personalized document they can sign instantly. The product also includes video and live chat features. Price: $35/user per month for Starter plan, $40/user per month for Pro plan. Custom plans are also available. Find a proposal app to your liking? Download it, write your first proposal, and bring your insight and questions to Digital Agency Day this month! Register below. 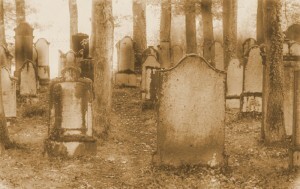 RFP — May you R.I.P.